All four of the Federal Election Commission's commissioners are holdovers whose terms expired years ago. Vice Chairwoman Ellen Weintraub's six-year term expired 11 years ago, when George W. Bush occupied the White House, the "Great Recession" had yet to occur and the most momentous campaign finance decision of the century, Citizens United v. FEC, was still two-and-a-half years hence. In separate interviews Thursday with the Center for Public Integrity, each of the four "holdover" commissioners — who may continue to serve until President Donald Trump and the U.S. Senate replace them — confirmed that they have no immediate plans to step down. They all know the FEC, in the midst of a critical midterm election campaign, is teetering on the brink of a de facto shutdown: If one commissioner retires, resigns or otherwise isn't present, the agency that regulates and enforces campaign money laws loses its four-commissioner quorum and can't conduct high-level business. No passing rules. No penalizing scofflaws. No providing official advice to political committees seeking it. "If the commission loses a quorum ... it obviously affects the public," Hunter said. Not that the FEC's commissioners work together seamlessly when the agency is fully operational. A report this month by the Library of Congress' Congressional Research Service notes that "achieving at least four agreeing votes is sometimes difficult, even with six members present. Vacancies make the task harder by reducing opportunities for a coalition of at least four votes." Republicans frequently accuse Democrats of overreach — attempting to enforce federal election laws that Congress hasn't passed, and therefore, don't exist. Democrats accuse Republicans of rank failure to enforce laws that they argue should be obvious to any liberal or conservative. Thursday's commission meeting — the first in the bipartisan agency's sparkling new headquarters near Washington, D.C.'s Union Station — provided a clear indication that some commissioners' patience with one another, like their terms, has also expired. When Weintraub suggested that Hunter could have adjusted the commission's April 12 public meeting to accommodate her trip to Lithuania for an elections conference, Hunter would have none of it. "Absolutely outrageous!" Hunter shot back, noting that the four commissioners, including Weintraub, voted to simply cancel the agency's meeting for lack of a quorum. Hunter later questioned the point of Weintraub's sojourn, which Weintraub defended as an opportunity to "advance democracy." Republicans Hunter and Petersen on Thursday also issued a scathing rebuttal to Weintraub's decision this month to "break glass in case of emergency" and not vote to further defend the FEC in federal court — a highly unusual occurrence — in the lawsuit CREW v. FEC. They lambasted Weintraub, a Democrat, for seeking "to remove the commission from its enforcement role" and "attempting to obstruct routine commission operations." Weintraub's actions "raise questions of bias and/or prejudgment, which, in turn, implicate serious questions of due process." Weintraub argued she had no choice but to take such action and effectively invite government reform advocacy group Citizens for Responsibility and Ethics in Washington — in 2012, it filed an FEC complaint accusing the conservative "dark money" group American Action Network of operating as a political committee and illegally withholding the identities of its funders — to sue the American Action Network directly. Weintraub said she didn't trust her Republican colleagues to enforce campaign disclosure laws. "Over a difficult and frustrating decade at the commission, I have seen colleagues with a deep ideological commitment to impeding this country's campaign-finance laws erode the public's right to free, fair, and transparent elections," Weintraub wrote. "People may feel that there's no cop on the beat and that they don't have to follow the law," he said. Several former FEC commissioners interviewed last week agreed that the FEC, in general, benefits from experienced agency leaders who understand the nation's election laws and their application and are versed in managing a federal agency of roughly 330 employees. But "at some point in the future the commission could benefit from new perspectives, new energy and a new rhythm," said Republican Lee Goodman, who served on the FEC from 2013 until February, when he resigned to become a partner at law firm Wiley Rein. 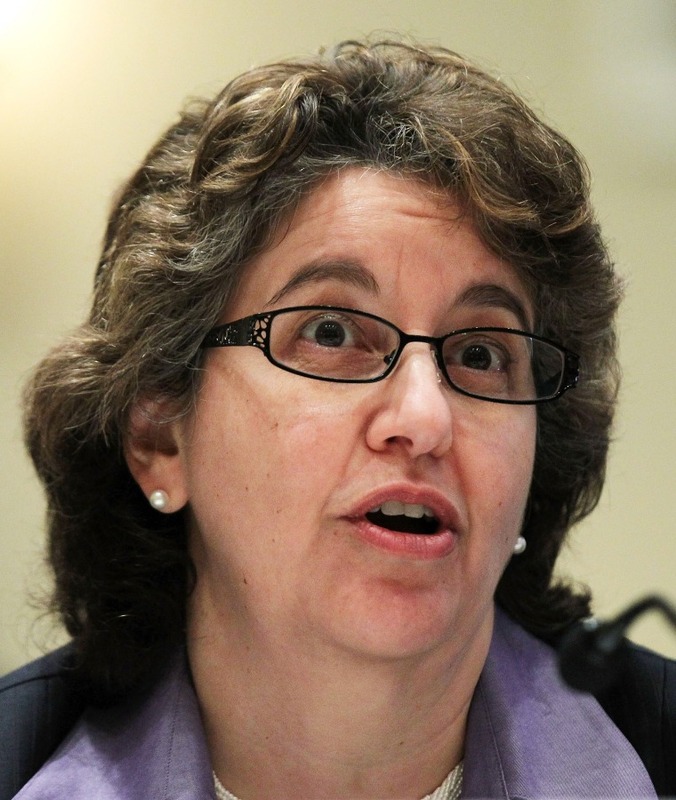 "Commissioners who make a career out of the position are much less likely to cooperate or even attempt to reach consensus across the aisle as they are so certain of the rightness of their approach to issues given the other matters they have decided in their long careers," said Democrat Ann Ravel, who served on the FEC from 2013 to 2017. Now, "the term limits have become meaningless," said Karl Sandstrom, a Democratic FEC commissioner who served from 1998 to 2003.